With a waterproof and dustproof exterior, the SSV-i series checkweighers are designed for unpackaged foods. Its hygienic design allows for stringent sanitary control for unpackaged fresh food, such as fish, poultry and other meat products. The waterproof exterior ensures all parts of the checkweigher remain intact and fully operational during the cleaning process after being sprayed down and sanitized. 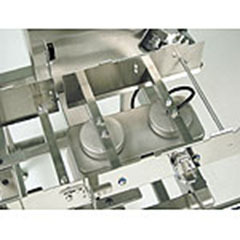 The checkweighing system is not only used for weighing products and checking for missing products, but is also used for controlling filler or fixed weight, data recording and line monitoring. 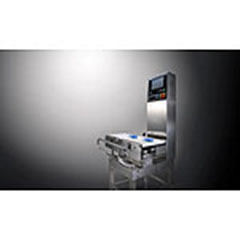 The SSV-i series weighing systems are designed for unpackaged fresh food. 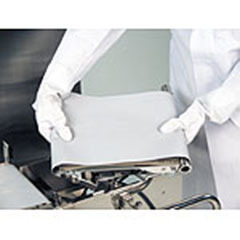 The exterior of these models are waterproof and dustproof to maintain a high level of hygiene for sanitary control. Rejection is down, and yield is up with SMF - a proprietary technology that minimizes double product errors by using multi-threaded filters to achieve high accuracy. Easy-to-follow navigation is on an 8.5 inch color LCD touchscreen interface to make checkweighing simple. With a maximum accuracy of ±0.01 g, the SSV-i series checkweigher reduces unnecessary rejects and maximizes line productivity. The hygienic modular design allows for superior documentation and overall system reliability not seen with custom design solutions. Overall savings are seen in maintenance costs.